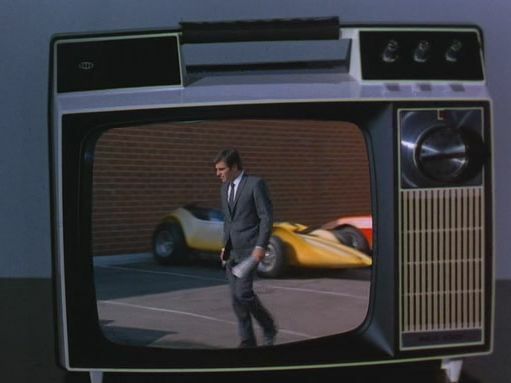 IMCDb.org: Jeffries Mantaray in "Mission: Impossible, 1966-1973"
I couldn't find any cars by Ed Roth that looked like it. I tried Gene Winfield also, no match. All three would be more closer to the style of Darryl Starbird "The King of the Bubbletop", but I couldn't find them in his cars either. 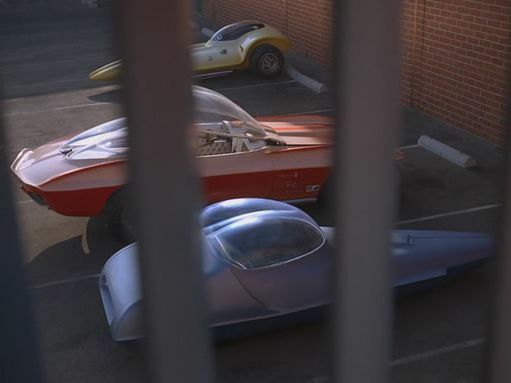 The yellow car looks like Dean Jefferies 'Manta Ray', also used in the movie 'Bikini Beach'. The Red one is the 'Cosma Ray'. There is conflicting info around on who built this. Some sites say Darryl Starbird, but Barris.com shows it with a modified front and claims it was built by Barris. Not uncommon for cars that Barris modified. @atom. No that blue one has me stumped. Looks like a model T roadster rear and a 55-57 Thunderbird hood scoop. It may well be a mocked up prop. I'll keep hunting though.